To celebrate Healthy Baby Month we’ve partnered with UnitedHealthCare to bring you this post. Opinions are my own. Before my first little one was born, I struggled with getting the best advice about being pregnant. That was almost 13 years ago now – where has the time gone! My friends and family all had opinions about pregnancy, and some were incredibly helpful, some were a bit outdated, and honestly, some were a little bit worrisome. So, like most new moms, I searched out some of the best advice I could find, from a trusted source. I love that we’ve been able to partner with The National Partnership for Women and Families and UnitedHealthcare to help promote National Prematurity Awareness Month. This is a topic near and dear to my heart, as I want to make sure all of you expectant mothers and parents have a healthy pregnancy and delivery! November is National Prematurity Awareness Month, a time for families nationwide to think about the health of expectant mothers and babies, and about how to have a safe and healthy pregnancy and delivery. One out of 10 babies nationwide each year is born prematurely, according to the Centers for Disease Control and Prevention. While preterm births represent a small percentage of all births, these infants represent a large proportion of all infant deaths, according to United Health Foundation’s America’s Health Rankings®: The Health of Women and Children Report. 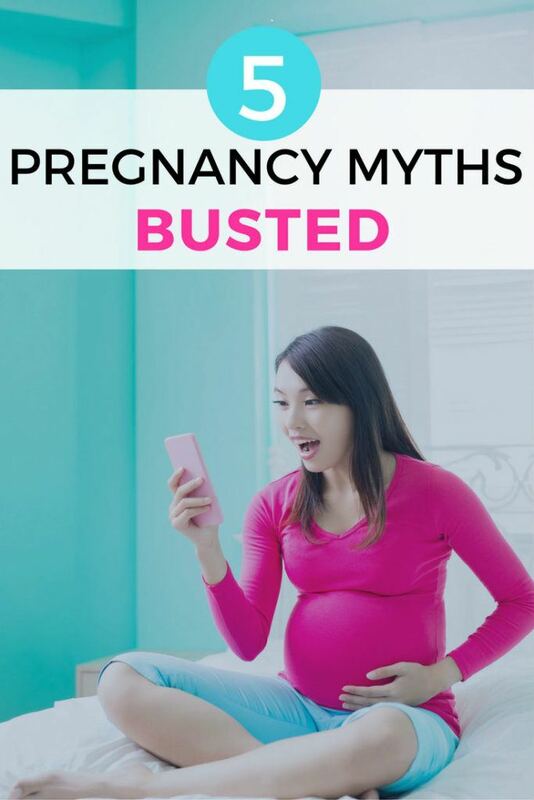 Pregnancy is often a time of excitement and joy, yet there is a lot of information for moms-to-be to consider, as well as common myths that, when taken as fact, could affect new mothers’ health and their pregnancy, and even prevent babies from having the best possible start in life. Many people associate pregnancy with nine months, or 36 weeks. But the American College of Obstetricians and Gynecologists (ACOG) defines full-term deliveries as at least 39 weeks, or nearly 10 months. Babies born before 39 weeks are more likely to have respiratory problems and developmental delays, according to published studies. About one in three U.S. births happen by C-section, with researchers deeming almost half of those as unnecessary, and 31 percent of women said early, elective C-sections would have no impact on a baby’s health, according to the UnitedHealthcare survey. Yet ACOG notes that early, non-medically required C-sections have a higher risk of complications and admissions to neonatal delivery units. More than 98 percent of deliveries are at hospitals, yet the growing popularity of birth centers are providing an alternative setting for people seeking a midwifery model of care. The number of independent birth centers has grown 62 percent since 2010, due in part to increased demand among millennials. Many studies have shown the health benefits of breastfeeding to mothers and babies. While this practice is not possible for some women, guidelines set by ACOG recommend breastfeeding exclusively for six months and continuing as complementary foods are introduced through one year or longer if desired. Yet more than half of women (57 percent) said new mothers should breastfeed for fewer than 12 months. Some people may believe a small amount of alcohol will have no impact on a baby, especially during the first trimester. According to the March of Dimes, no amount of alcohol at any point during pregnancy is proven to be safe for the baby, with potential issues including premature birth, developmental issues and birth defects. Emerging technology, including mobile apps that enable access to 24/7 nurse support, can help expectant parents track and manage their prenatal visits and review appointments and guidelines before and after delivery. 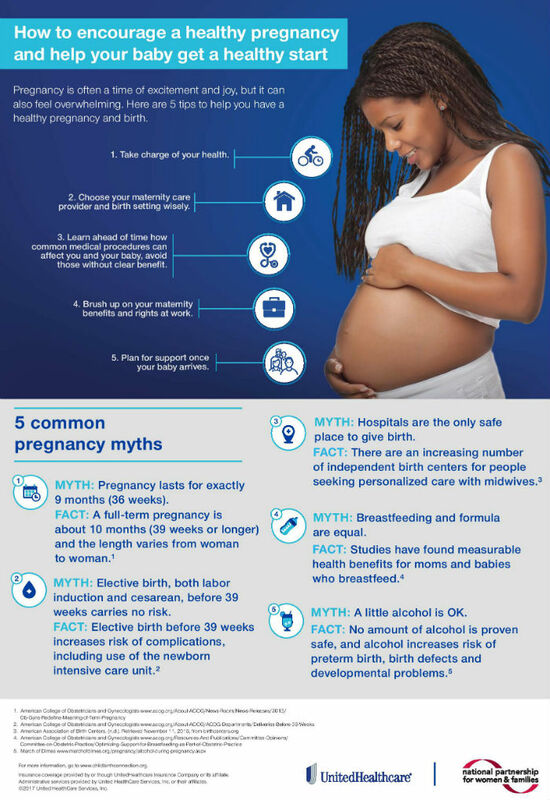 By accessing available information and resources, women can help dispel these myths and make more informed decisions for themselves and their babies, and take steps toward a healthier pregnancy and delivery.